Turn the Table on Weeds – Eat Them! It’s that time of year again! The summer growing/battle of the weed season is here. I am somewhat lazy this year with my garden, mainly because I know I will not be here during peak harvest season. Don’t worry, I’m not dying, just going home to visit family in Germany;) So what’s the point in planting and nurturing a bunch of different veggies? Does that mean there’s nothing yummy and nutritious coming out of the garden to enhance my salads and smoothies? Nope, not at all. There will, of course, be herbs, many of which come up on their own each year, like oregano, thyme, sage, savory, chives, etc. 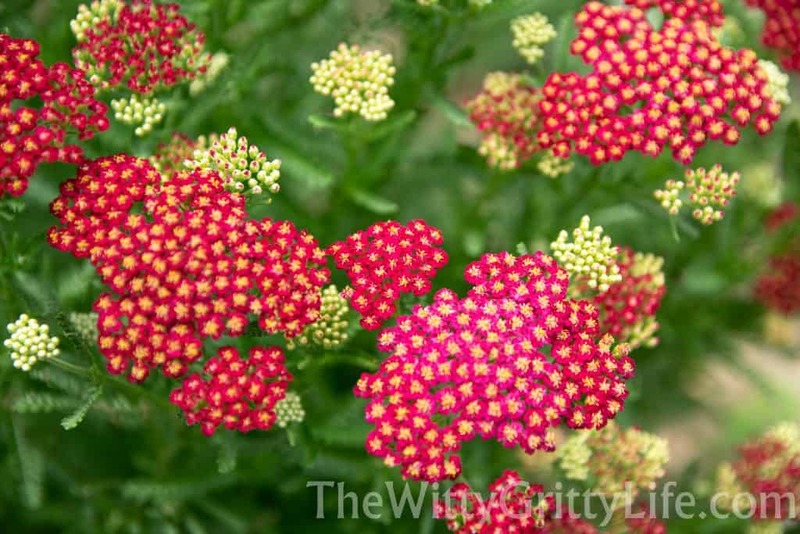 I am adding annual varieties each year like basil, dill, parsley, rosemary & Co.
Look at some of the beauties popping up in my garden! Don’t you just love this time of year with all the beautiful things growing? Did you know that some of the weeds your pull from your garden on a regular basis are not only edible, but outright good for you? In my native Germany our neighbor loves to come over into my parent’s yard to collect one of the weeds growing especially well, the buckthorn plantain. She swears by her homemade cough syrup she makes for her husband. Elderberries growing abundantly everywhere were harvested for juice and even wine. Still, I have to confess to being somewhat complacent when it comes to getting the most out of our yard until recently. Foraging for goodies growing wild and in the garden was something we did a lot as kids. We always knew when and where to find patches of wild strawberries, raspberries and blackberries or when hazel and walnuts were ripe for picking. No need to go in the house for snacks. We just happily ate what we found. Our way of eating on the go was healthy, organic, nutritious and convenient. And now that I am older, maybe even a little wiser, I decided to give this “eating what grows wild” thing another go. Making use of edible wild plants is something humans have done since the dawn of time. Buying greens and produce is a fairly new phenomenon. Just a generation or two ago, foraging and growing your own produce was essential to living well. Isn’t it a funny thing how something so basic and elemental to our survival as species are now suddenly a fad? Before proceeding any further, though, I would be remiss if I didn’t mention a couple of very important points. Never ever eat anything you have not identified as actually edible with 100% certainty. Many edible plants bear an astonishing resemblance to less palatable or even poisonous counter parts. 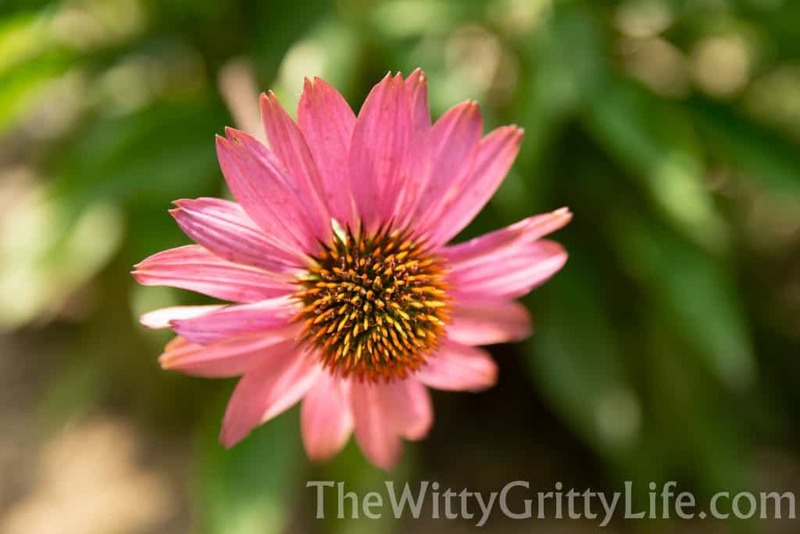 For simplicity’s sake I am going to focus on the five most common weeds of the edible variety sprouting in my yard/garden here in the Midwest. Many of them can be found throughout North America, Europe and Asia. Once you are certain that you are definitely dealing with the edible weed variety, be sure to only harvest from areas that have not been treated with any kind of pesticides or from areas where animals (generally Fido) eliminate. While dandelions are a nuisance to any homeowner desiring a pristine lawn, they are also among the most nutritious greens you can find in your own yard. Dandelion greens are high in fiber, vitamins C and B 6, thiamine, riboflavin, calcium, iron, potassium,and manganese. 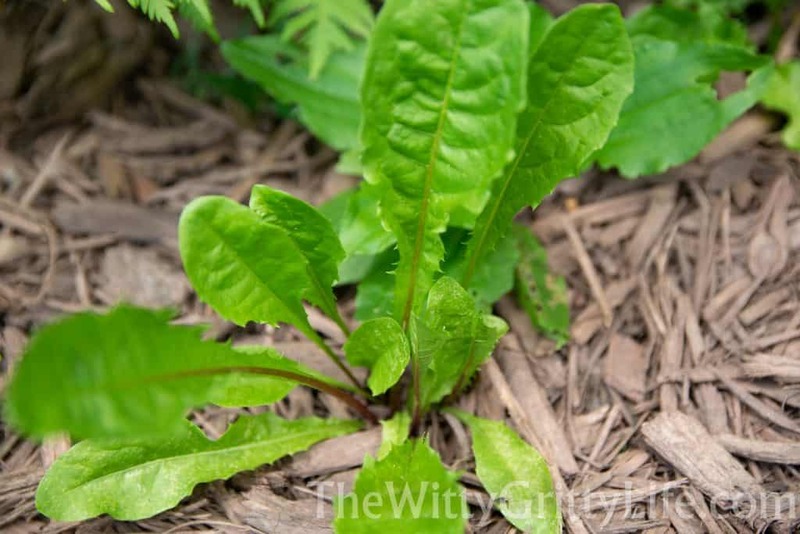 Other nutrients present in dandelion greens include folate, magnesium, phosphorus, and copper. When harvesting dandelion greens, go for the new tender shoots, which are a lot less bitter. For a little more hard-core weed harvesting you can roast the roots for a strong tea that makes a fine caffeine free coffee substitute. Just be sure to only harvest from an area that has not been treated with chemicals! Check this website for more in-depth information on the benefits of this common green. Purslane (portulaca oleracea) is a succulent that sprouts up in many gardens in copious quantities. It also happens to be a nutritional powerhouse , low in calories yet packed with fiber as well as high levels of omega 3 fatty acids, vitamins A, C, those in the B family, iron, magnesium, manganese, copper, potassium and calcium. 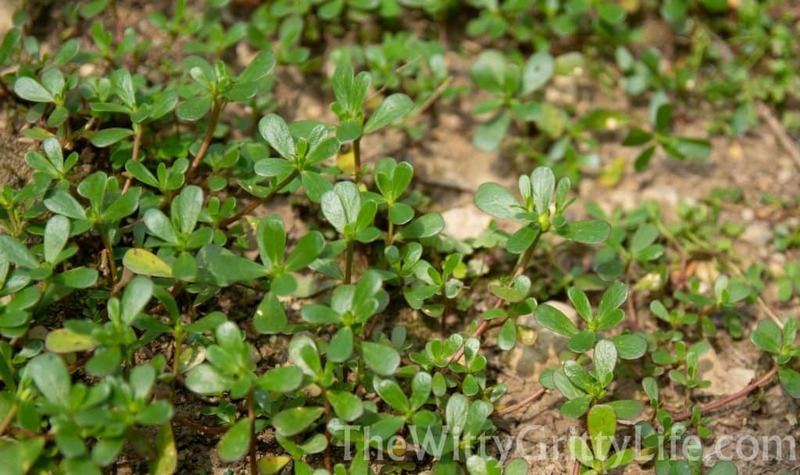 To preserve their nutritional profile, young purslane leaves and stems are best enjoyed raw. I love sprinkling a small handful on either a salad or in smoothies. As you can see, my yard offers it up abundantly! I bet you are familiar with it as well! I am not talking about the banana cousin here. Plantain leaf plants are indigenous and widespread throughout Europe, North America and Asia. They have long been used in folk medicine for a variety of ailments, most commonly those of the upper respiratory tract. I have been aware of the plant’s use as a remedy for blisters while hiking for some time. Just apply a leaf to the blister inside your boot for soothing, cooling relief. Read more here and here about the therapeutic benefits of plantain leaf. Plantain leaf is best eaten in salads. Just be sure to stick to the very young tender leaves, as older more mature leaves are quite tough and stringy. Chickweed (stellaria media) grows well in Spring, before the Summer heat sets in. It prefers moist shady areas. A native of Europe, it has become invasive in North America. 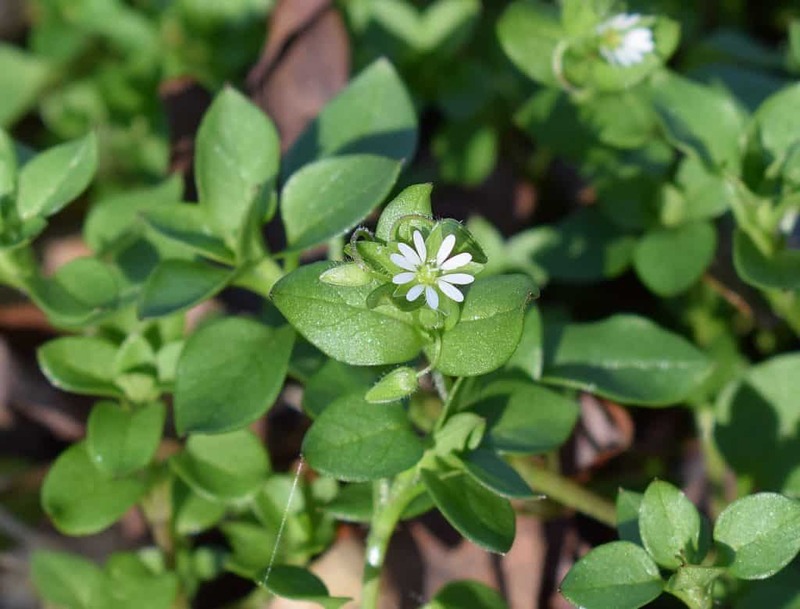 Chickweed is rich in ascorbic-acid, beta-carotene, calcium, magnesium, niacin, potassium, riboflavin, selenium, thiamine, zinc, copper, and Gamma-linolenic-acid. Chickweed also contains saponin which is toxic if eaten in large quantities. All parts of the plants are edible and like many of the other fresh greens listed here, best enjoyed fresh from the garden in your salad. I bet you have seen this in your garden! Wild onions and garlic sprout in early spring and are one of the very first “weeds” you can forage in your yard. The terms wild onion and wild garlic is sometimes used interchangeably. Our yard here in southern Ohio brings forth wild onions. The taste is like a cross between onions and garlic making it even more confusing. You can identify it by its shoots which look like thin chives and their bulbous white root. Wild onions will always smell like onions when harvested – leave them behind if they don’t! Both the green stem and white roots are delicious to eat. Use them raw or cooked. Wild onions have the same health benefits as all other members of the onion family. At this writing, the time for wild onions and garlic has passed in our area, but you can see what they look like here. You don’t have to be extremely knowledgeable to enjoy the free organic greens that usually serve to annoy you! Why not take advantage of what grows freely and effortlessly and enhance your cooking at the same time. 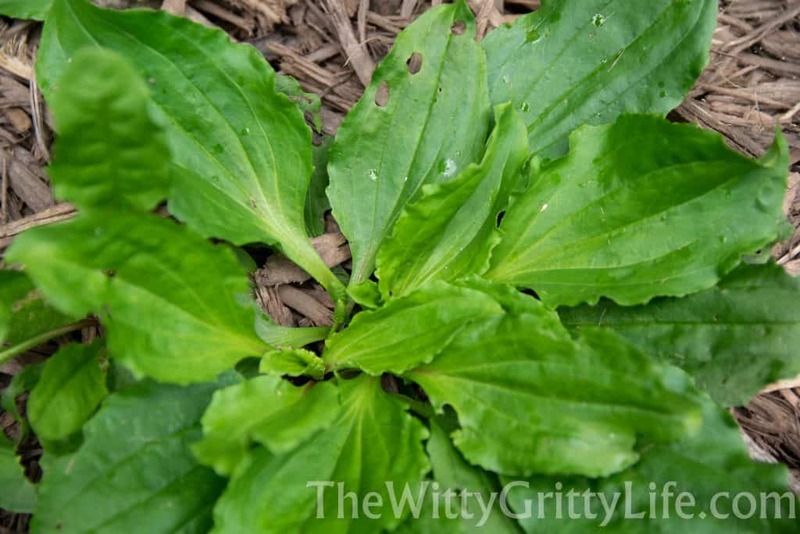 Have you tried to forage wild greens or eaten weeds from your garden? If not, I hope you give edible weeds a try! Psst! If you pin it now you won’t have to remember it later! Wow, great information that I am sure most don’t know!